Visit the renown Spa at Escondida and enjoy quiet spaces that satisfy your senses – renew and refresh. Reconnect body and mind. Enjoy one treatment or a full day package. Take as much time as you have to enjoy complete tranquility and rejuvenation. The Spa at Escondida awaits, fulfilling your every need for rejuvenating, peaceful relaxation in the heart of the Hill Country. A hand and foot reflexology treatment can be added to any service – 30 minutes – $55.00, 1-hour – $90. Oh So Pretty and Relaxed! An overall soothing massage! 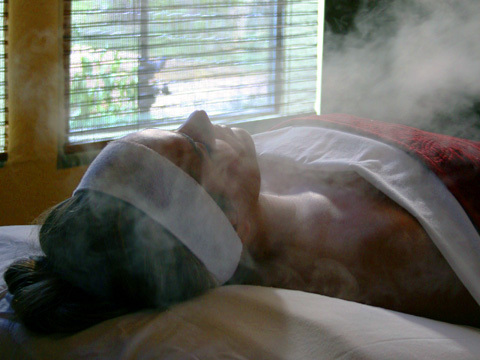 Light to medium pressure strokes induce oxygenation and detoxification, restoring proper metabolism. Improves circulation, overall skin tone and relaxes tired muscles. A blend of neuromuscular massage techniques relieves areas of tension or chronic pain. Restores flexibility and alignment in muscles and bones. The choice for sports massage, neck, shoulder and hip dysfunction.Medium to deeper pressure. Your therapist will assess individual needs and areas of concern and incorporate the focus into a full body massage. This Eastern-inspired aromatherapy massage allows you to take in the scents of essential oils while receiving a customized massage in pressure and technique to meet your individual needs. The treatment begins with a deep tissue massage that is followed with a Shiradora scalp treatment. Warm oil drips from a copper vessel on to the forehead in a steady stream dropping meditatively on the ‘third eye’. Pressure points and massage are performed on the face and scalp to promote profound relaxation. Induce relaxation with a Swedish-style massage using warm oil and warm smooth stones glided over the body. An age old heat therapy for tight muscles and melting away tension. The ultimate stone experience! Restoring peace and calm to exhausted physical, mental and emotional conditions. This therapy includes a hot and cool stone layout over the body, massage with specific warm stones, an aromatic head massage, warm/cool facial massage and a detoxifying salt foot scrub with an end of session relaxation period. Fibromyalgia syndrome (FMS) is a painful condition in 11 or more specific tender spots throughout the body. Massage is one of the best treatments for FMS syndrome. This massage helps decrease pain and anxiety and can help FMS sufferers by relaxing the body and releasing the stress that aggravates this condition. Techniques are used in this specific massage which has proven effective for the relief of chronic pain caused by FMS tender points. It also can increase energy levels and relieve insomnia, thus helping to break the cycle through which many FMS clients suffer. Bring your honey, your buddy, family, or friend and enjoy the True Texas Hospitality of a Swedish massage. Begins with hot paraffin mitts for the hands while feet soak in a copper tub full of herb and mineral infused warm water. Legs and feet are gently exfoliated from the knees down. Enjoy a hand and arm massage while the calming varicose vein relief mask is soothing legs and feet. A therapeutic leg and foot massage is the perfect ending. All facials include a skin analysis, mask, and a hand massage. One hour unless noted longer. Escape with our custom facial created for your skin type and skin care goals. From deep-pore cleansing, steam, exfoliation, masque, and hydration, to a refreshing facial, and massage during the treatment, you may never want to leave Escondida. The most advanced defense against aging. This opulent anti-aging treatment lavishes your skin with pure Caviar Extract, Pearl Extract, and a revolutionary blend of phyto-extracts: Escutox®. Improving elasticity, this luxurious facial increases skin oxygenation and suppleness. Promoting rejuvenation, it visibly resurfaces and dramatically reduces expression lines and wrinkles. This gentle facial uses products designed for people with Rosacea or sensitive skin. Steam, exfoliation and warm towels are omitted for such delicate of skin. An eye mask is used to soothe tired eyes. Also enjoy a relaxing hand, neck and shoulder massage. The bacial begins with a consultation where the therapist determines your exact needs, followed by an extensive cleansing process. Blackheads are gently extracted with steam and the back is exfoliated with a sugar scrub. Tea tree and eucalyptus oils soothe the surface, before a mineral-rich mask is applied. For the perfect hydrating finish, a moisturizing balm seals the deal. Relieve those stressed and sore back muscles. Begin with a back cleansing and scrub, followed by foot or scalp massage as the insulated heat from this warm paraffin and copper mineral mask indulge the back with penetrating warmth. The final touch is a 30 minute back massage. Brisk and bright as a Hill Country Day! A full body scrub with personalized ingredients to best polish, brighten and restore skin tone. An invigorating treatment for the senses with a sixty minute Swedish massage.